Tangles came back from a Tassy visit and picked up some Acid drops for me, after sampling some I was pretty impressed with the taste but unfortunately I didnt hallucinate... 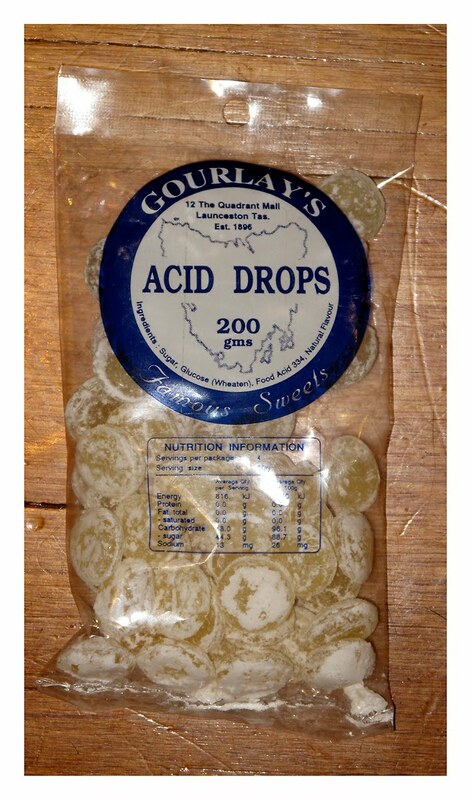 I was told by Moey about these some time ago, through some research I managed to find pretty much FA about these Gourlay's from Launceston so Im assuming we're not related. I think they need some help on the packaging design tho!